The recently released Local Bus Market Study does not necessarily break any new ground but provides a valuable tool as a single document that captures the current market position in advance of the forthcoming ‘Buses Bill’, says Mistral Bus and Coach chief operating officer Steve Low. Mr Low’s critique follows the release in late January of the KPMG report, commissioned by the Department for Transport. The report looked at the condition of the bus market in England outside London, the current legislative tools available and, importantly, the issues that should be considered by authorities looking to improve their local bus services. Mr Low said: “Whilst prepared for the benefit of the Department for Transport, KPMG are themselves keen to point out that the study ‘does not undertake an appraisal of alternative market interventions’ – shorthand for not it making any recommendations on the pros and cons of route franchising, but nevertheless it neatly summarises the key factors influencing the provincial bus market. “Key themes that are raised unsurprisingly flag the challenges that the market faces with regard to austerity, devolution and sometimes conflicting objectives between operators and local government. “In reality, these are issues faced and dealt with on a daily basis by most operators, and the report itself concedes that ‘..the local bus market is complex….with multiple factors…influenced by operators and LTA’s’. The Urban Transport Group said of the Buses Bill: “The Government is planning new Buses Legislation which will make it easier for local transport authorities to franchise networks of bus services. 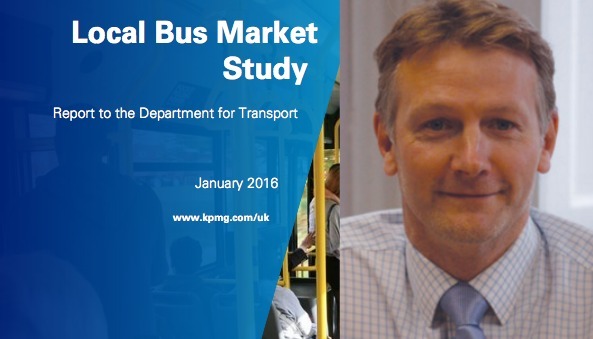 Read more about the Local Bus Market Study and its key highlights here. Analysis by Tim Deakin of Route One here.